Ending of Metal Fusion. . Wallpaper and background images in the Beyblade Metal Fusion club tagged: beyblade metal fusion. 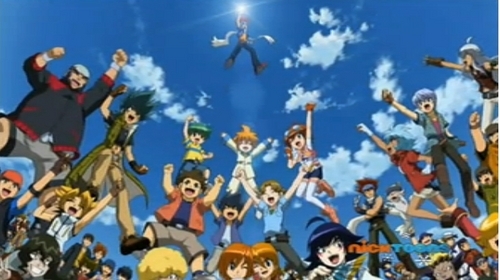 This Beyblade Metal Fusion photo might contain jepun aprikot, mei, prunus mume, apricot jepun, and kisah tauladan. Just bought my 3rd L Drago! !